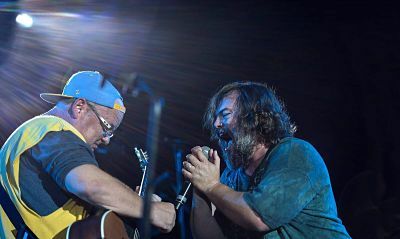 Booking Tenacious D will cause a storm at your special event! 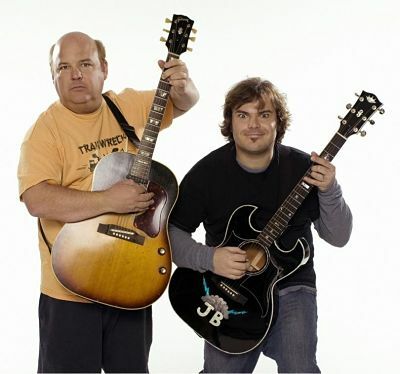 We are a booking agent for Tenacious D, and can arrange for them to perform for your guests. Formed in Los Angeles, California in 1991, rock/metal band Tenacious D is composed of lead vocalist and guitarist Jack Black and lead guitarist and vocalist Kyle Gass. Black and Gass met in while both were members of the Los Angeles-based theatre troupe, The Actors’ Gang. The band first gained major popularity in the late 90s when they starred in their eponymous HBO television series and began to support large rock acts, such as Beck, Pearl Jam, and Foo Fighters, on tour. In 2001, they released their self-titled debut album, featuring a full band. Their single, “Tribute,” achieved Top 10 status. 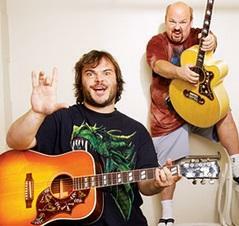 In 2006, Tenacious D starred in, and recorded the soundtrack for, the film Tenacious D in the Pick of Destiny. In support of the film, the band went on a world tour, appearing for the first time live with a full band. Their third album, Rize of the Fenix, was released in May 2012. 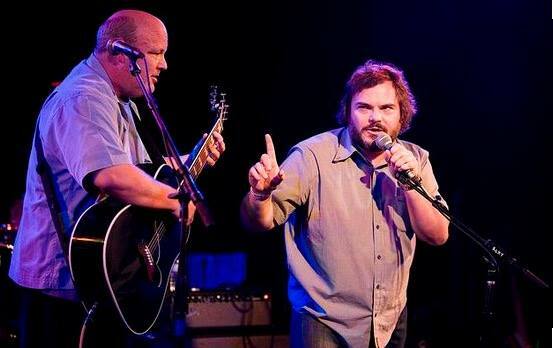 As a booking agent for Tenacious D we can organise for them to perform at your event. To hire Tenacious D call Contraband Events as we can make it happen. We are booking agents for a huge selection of famous musicians to hire, and we can recommend the best artists for your entertainment. 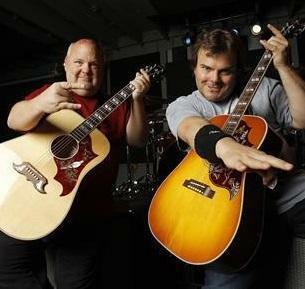 Tenacious D can be booked to play at your private or corporate event through Contraband International. Make us your preferred booking agent. Want to find out more? Give us a call on +44 (0)208 8291140 or hit the button below.